Pantone has named ‘Living Coral’ as the colour of 2019. Each year a team at Pantone research colour influences from entertainment and art to social media and everything in between. 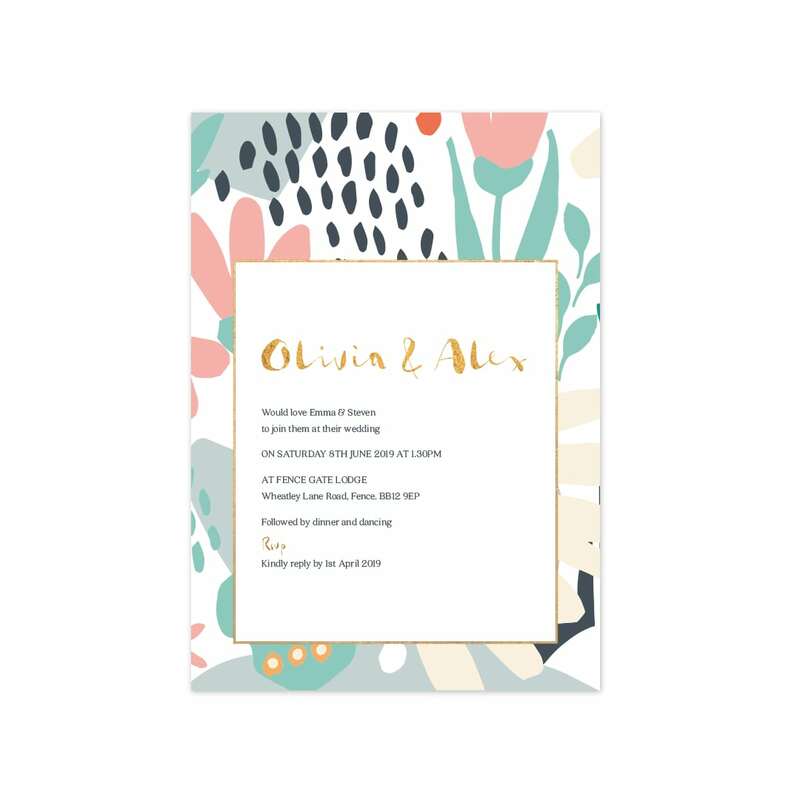 The chosen colour is what is said to take the world by storm- through interior details, fashion, lifestyle and even wedding stationery! We have seen the vibrant colour sneak its way into some of our designs before, but we are excited to incorporate the trend into our existing and new designs. 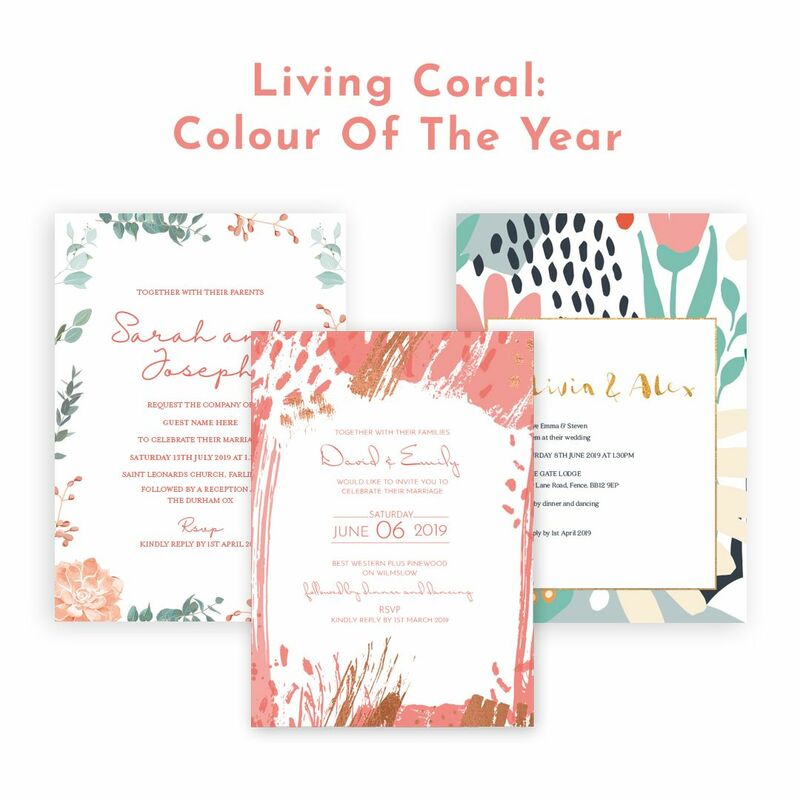 Living Coral will make a great addition to a bold, summer wedding and in contrast, work well as a pop of colour to winter wedding stationery. 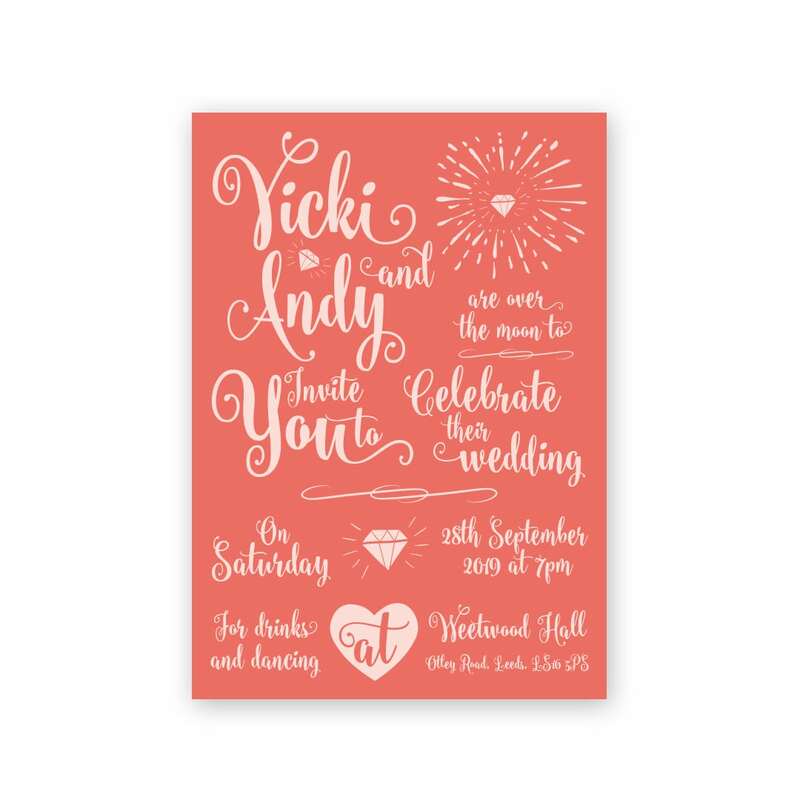 Make Living Coral the main attraction with our Glitz & Glamour collection, teamed perfectly with a pale pink text. 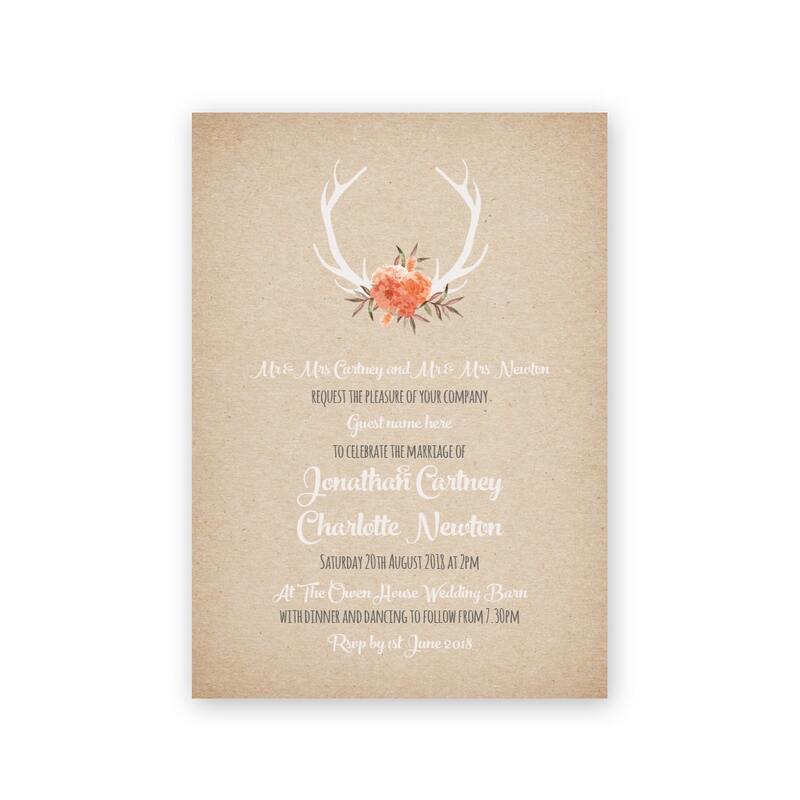 We love the way a dash of Living Coral looks on the rustic brown paper background of our Country Rustic design. Perfect for a more subtle take on the trend. Coral & foil- what’s not to love? Our Abstract Brushstroke design teams the right amount of colour with splashes of metallic shimmer for an impressive, modern style. 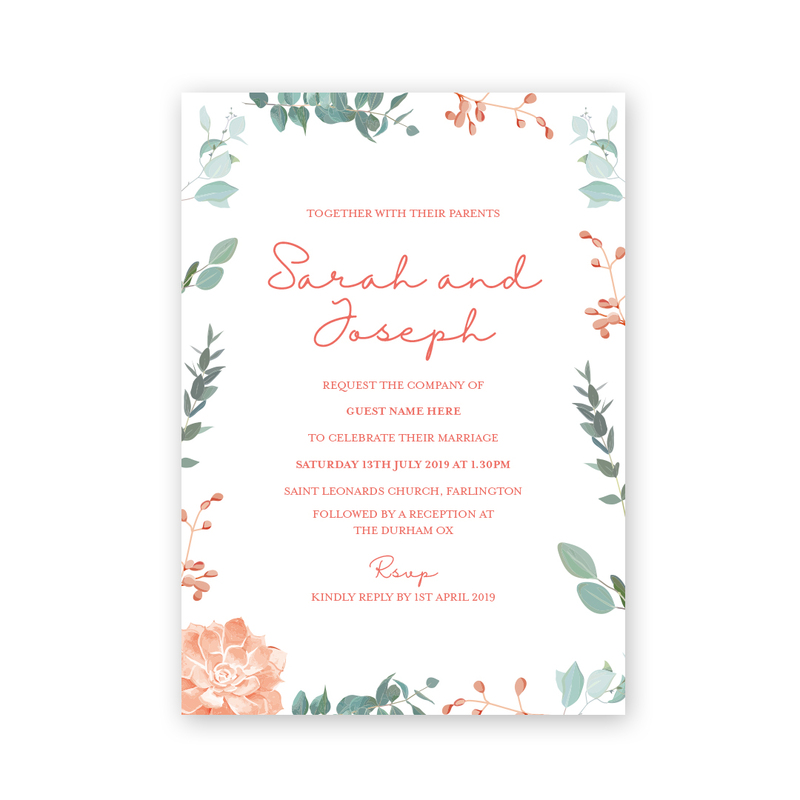 Looking for stationery with delicate, foliage details? Living Coral contrasts beautifully with the soft greens in our Botanical collection. Are you having a destination wedding? Or maybe you love to travel? 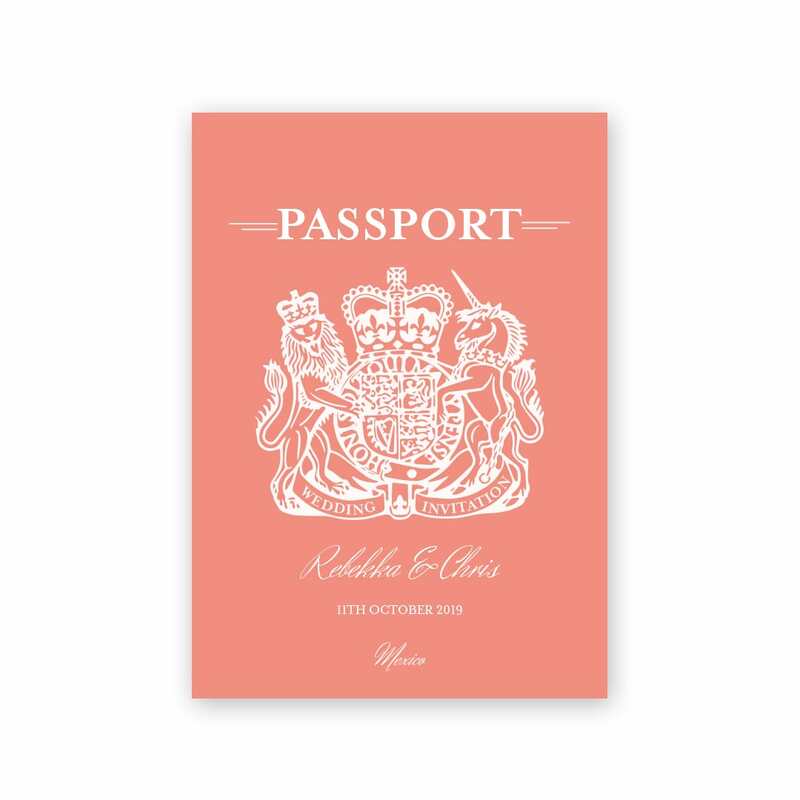 Living Coral is the perfect shade on the front of our passport wedding invitations. Looking to incorporate Living Coral into your summer wedding? We’ve taken abstract shapes and teamed them with bold colours to create our ‘Summertime‘ collection. 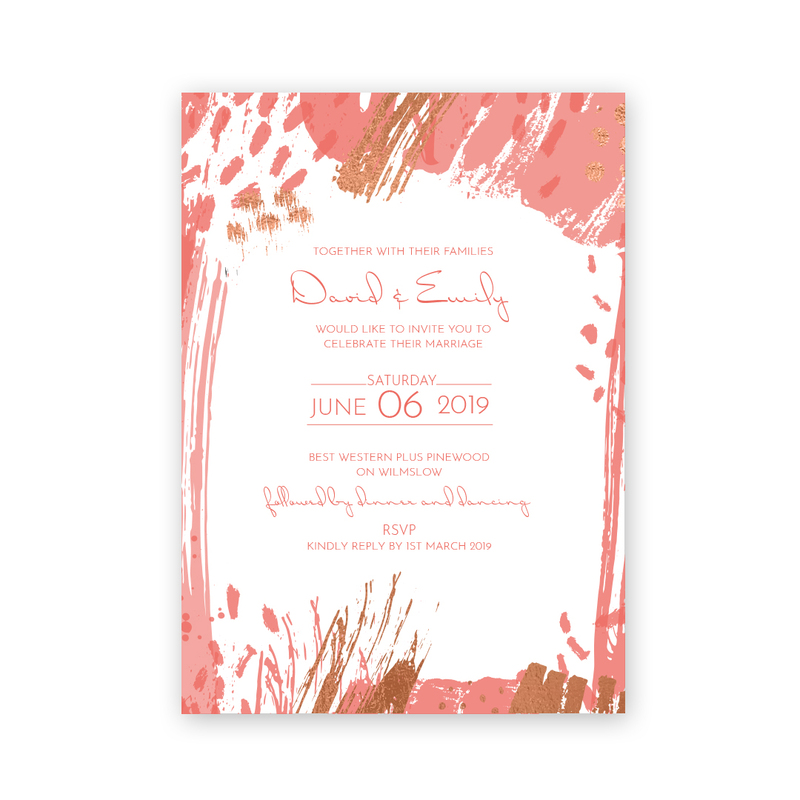 Will you be adding hints of Living Coral to your wedding? Let us know!